A few weeks after moving to Stockholm, I had coffee with the sister of a friend from Beograd. At that time, AP (yes, the friend who recently moved to Sankt Eriksplan) told me that it was unusual for people from Stockholm to hang out in a neighborhood different than theirs. I wasn’t too sure what to think of that at the time. Now, after six months in Stockholm I became somewhat of a Södermalm addict. I have to force myself to get out of Södermalm, and this is what I did this morning! When colleagues recently suggested that we register for the Kungsholmen half-marathon in May I immediately decided to do it. I need concrete goals to train otherwise it is too easy to choose a café over the running trails on a Sunday morning (especially in February). Once I am motivated I usually stick to the objective and this morning I had done 7 k and was back home before 8:30. It was a gorgeous day out and I was decided to make the most out of it. Drottninggatan is the main pedestrian street in Stockholm. It is filled with boutiques, tourist stores, fast food restaurants and a few nice places. It is a wonderful walk that will take you all the way to Gamla Stan (the old town). 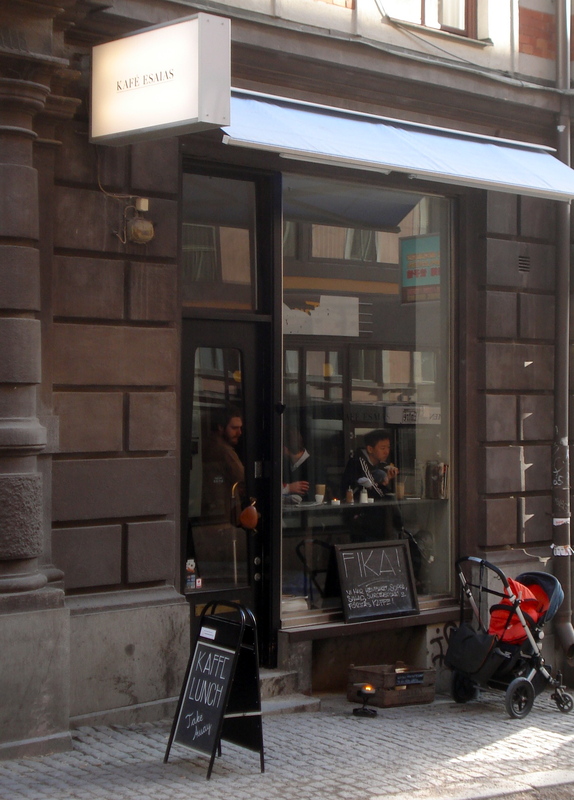 But because of the high volume of people it attracts, I never really paid attention to cafés on Drottninggatan. That was until a colleague brought to my attention an article in one of Stockholm’s dailies which mentioned that Esaias had finish 5th in a competition in New York. And then my Swedish teacher recommended Kafé Esaias. 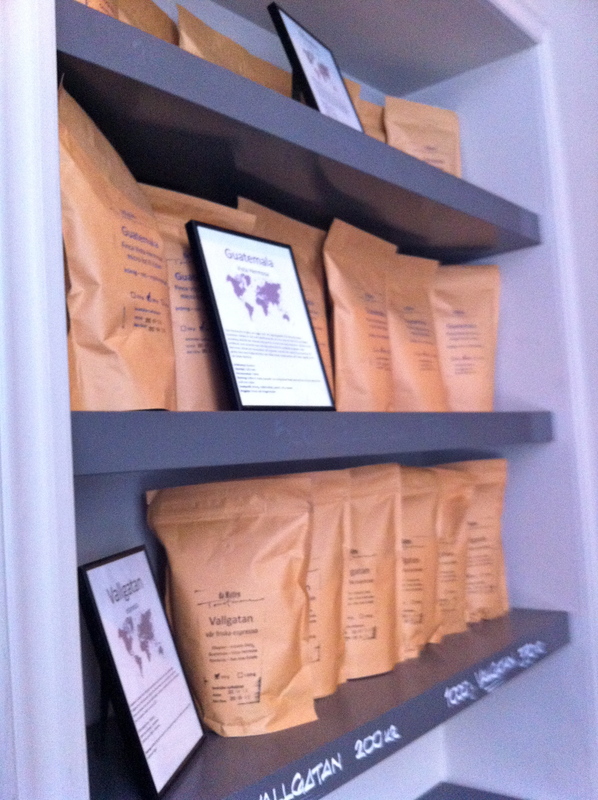 And so did Mondomulia in her Coffee Tour of Stockholm post. It was time to go. I arrived at Kafé Esaias early enough to have a seat. It is a rather small café and it is so wonderful that it must be full all the time. I felt very happy and lucky to have a seat in the corner. 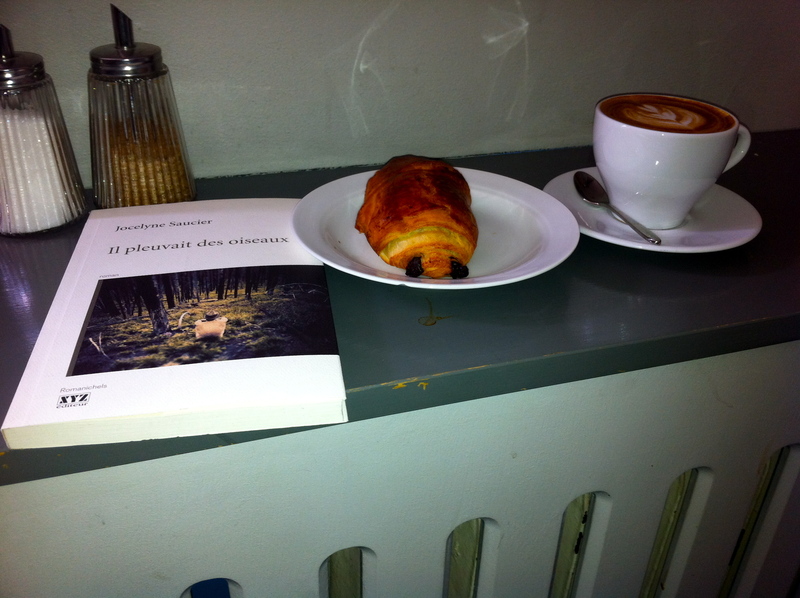 I knew I would be there for quite some time so I decided to start with a cappuccino and a chocolate croissant. One of the nice things about running is that I don’t feel guilty when I have breakfast twice! I agreed to be part of some projects at Stockholm University and as a result I need to read five books in the next 2 months. For most people that wouldn’t be much, but I have been quite lazy recently and the only way I’ll manage to go through these books will be by reading in cafés. And reading at Kafé Esaias was perfect. It was quiet enough to read but I could also take breaks to enjoy the small – but extremely interesting – photo exhibit Eden by Daniel Stigefelt (see more details here). The staff was also extremely friendly. They were patient enough to let me order in Swedish. 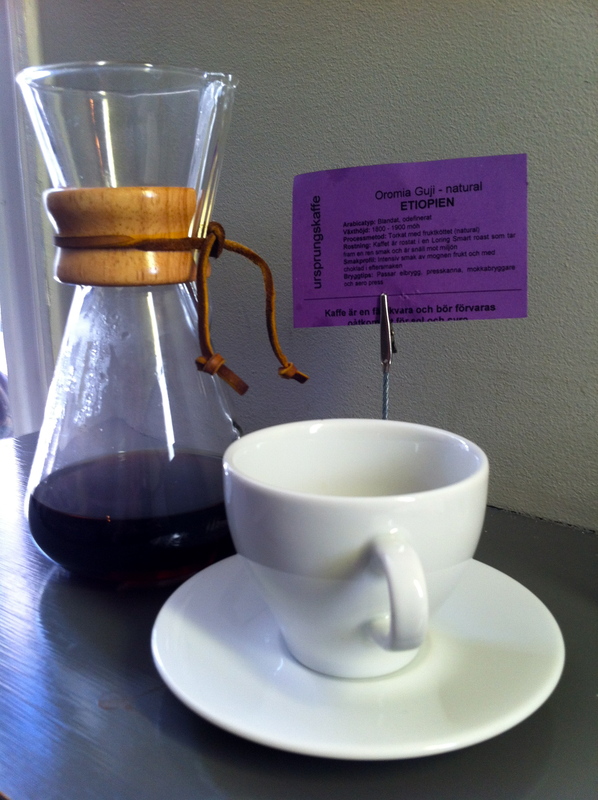 And nice enough to tell me more about the Chemex process in English when I ordered an Ethiopian brew. It was a perfect Sunday morning at Esaias. At one point the sun was high enough in the sky to come through Esaias’ window and warm me up as I was reading my book. Sometimes I love a place because the coffee is great. 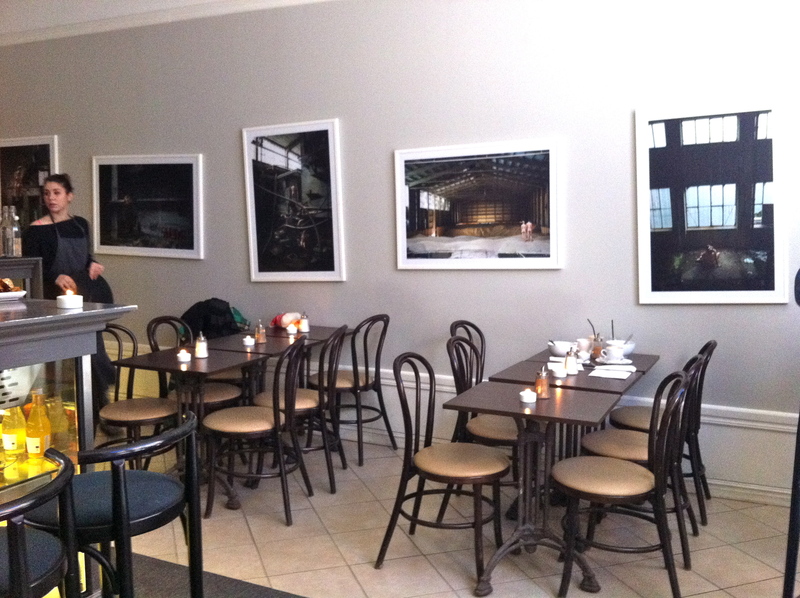 Sometimes it is because the atmosphere in the café is cool. Esaias is one of those few places that I adore because the coffee is excellent and the atmosphere makes me want to go back. And it’s refreshing to see such a gem right on Drottninggatan! You can also buy coffee beans at Esaias. I now have a good reason to leave Södermalm from time to time! 1. Drottninggatan is similar to St. Catherine’s Street in MTL? It sounds lovely! Drottninggatan is a lovely street. And the big difference with St. Catherine is that it is actually a pedestrian street. Ha ha! “It was raining birds” is a book. And a good one I must say. I was not convinced when I first read the back cover but the writer is doing a pretty good job at describing the lives of 3 old men hiding in the woods to wait for death in the middle of nowhere in Ontario. And it is not depressing as one could think. Good luck with running in the snow this week!! Ya sold out quickly this year! I couldn’t believe it! Haha.. “it’s not as depressing as one would think.” Yes one might think that. One also wonders where the birds theme comes into play! The plot line kinda reminds me of “The Grey” with Liam Neeson…. Let me know when you are in Stockholm and maybe we could have fika!